Goa is known for its beaches and nightlife but very few people know that there is so much more to Goa beyond this. Goa has a series of beautiful islands each boasting of diverse landscapes and attractions. Goa also has a number of historical monuments that had been built by Portuguese and Dutch rulers who had ruled over the region. 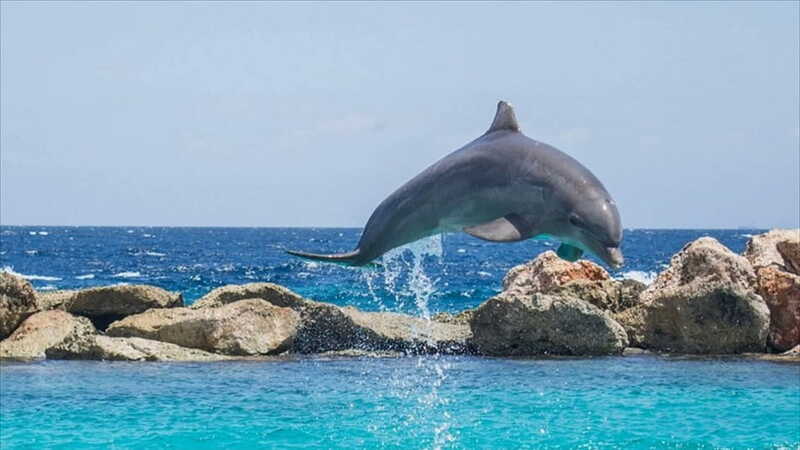 The waters here are home to a number of fishes and other aquatic animals making them perfect for activities like dolphin watching and snorkelling. You can also indulge in activities like fishing. The next time you are planning a trip to Goa, make sure you add these things in your itinerary. After all, visiting unexplored places and indulging unconventional activities helps in making a trip more memorable. This package combines trips to islands, snorkelling and a dolphin safari and promises to be an exciting and memorable affair. Priced at INR 1499, this includes all the above activities, transportations, sightseeing and lunch. We will start early in the morning at around 8:30 am. Pickup would be arranged from Calangute and we will head towards the boat jetty. The distance between Calangute and the boat jetty is around 6 kilometres. From here, we will be boarding a boat bound for Grande Island. This journey would approximately take around 40 minutes. You might spot dolphins coming out of the water during the journey to the island. Make sure you capture this sight on your camera. Grand Island is famous for its water sports and adventure activities.You can indulge in activities like fishing and snorkelling. Being surrounded by waters on almost sides, this region has some of the best and diverse forms of marine and aquatic life. We will also visit some important attractions like Aguada Fort, Goa Jail, Jimmy Diamond Sea View Villa. Buffet lunch will be present and you can savour the delicious food with unlimited bottles of beer. The lunch menu will also have some barbeque fish and chicken. We will wrap up all the activities late in the afternoon and then return back by 4:00 pm in the evening. All activities are performed with required safety norms and measures. Is swimming a necessity for Snorkelling & Dolphin Safari? Swimming is not necessary for snorkelling and dolphin safari. You will be given life jackets and breathing apparatus( for snorkelling). The best time to go to this place and indulge in these activities is from October to May. The monsoon season should be avoided as the region experiences a lot of rain and the sea might be turbulent. There are hardly any boat services during monsoons as well. Post October, there is very less chances of rain and conditions are conducive.